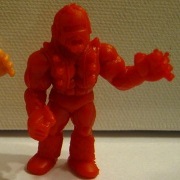 The first figure, a #75 with warped arms, was discovered by a M.U.S.C.L.E. collector known as ChristianG on LittleRubberGuys.com. The picture was taken from his Flickr account. 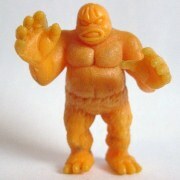 The second figure, a #71 that also has warped arms, was discovered by a M.U.S.C.L.E. 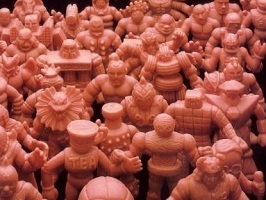 collector known as tofudrifter81 on LittleRubberGuys.com. This entry was posted on Tuesday, September 20th, 2011 and is filed under Research, UofM News. You can follow any responses to this entry through RSS 2.0. You can skip to the end and leave a response. Pinging is currently not allowed.